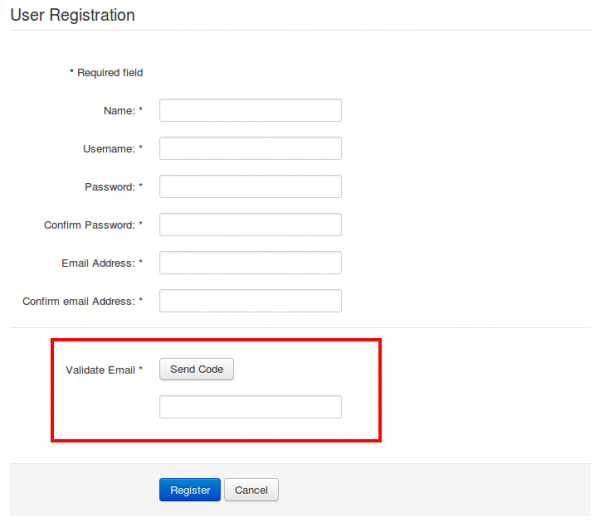 Pre-Registration Email Validation plugin allows your users to validate their email id before registration. It will reduce the SPAM at your site and also reduce the possibility in typo in email address. You don't have to perform more than two step, just install and enable the plugin. 1. 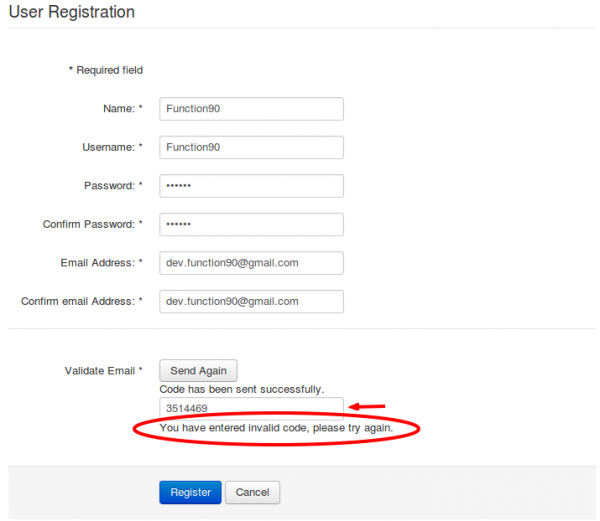 An extra button and text field will be shown for sending and entering validation code. 2. User need to click on "Send Code" after filling email id. User will receive an email containing Validation Code. 3. 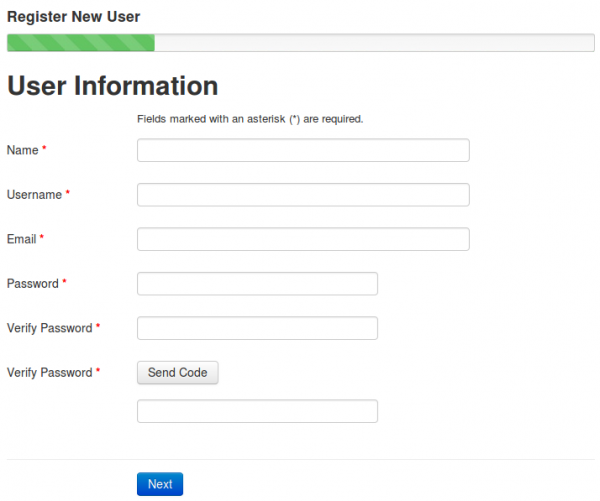 User need to enter that validation code in the text field, and than click on Submit button. 4. It supports core Joomla! registration and JomSocial registration as well. 1. It will reduce the AUTO SPAM for registration to zero. User has to enter valid email id. If that was spammer then it will not make entry in user table unless he validate that entry by entering code. 2. It works on client side as well as on server side. 3. You are not required to enable Email Activation functionality. 4. 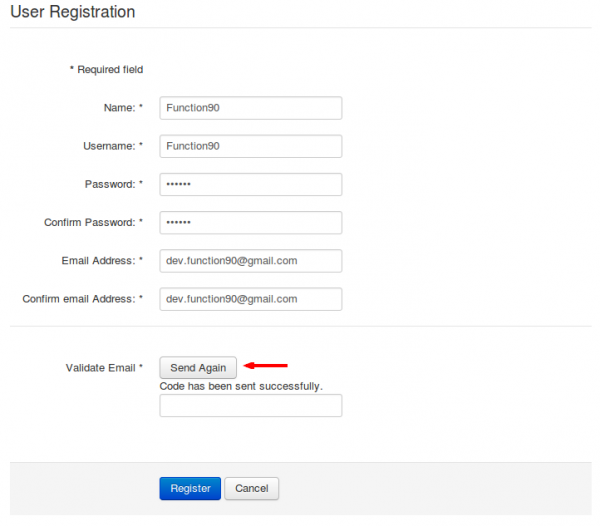 User will not make any type mistake in email id while registration. 5. No need to worry about newsletter bounce. If spam entries are not in the user table then no need to apply filter on sending emails and newsletter. It will keeps your user table clean.